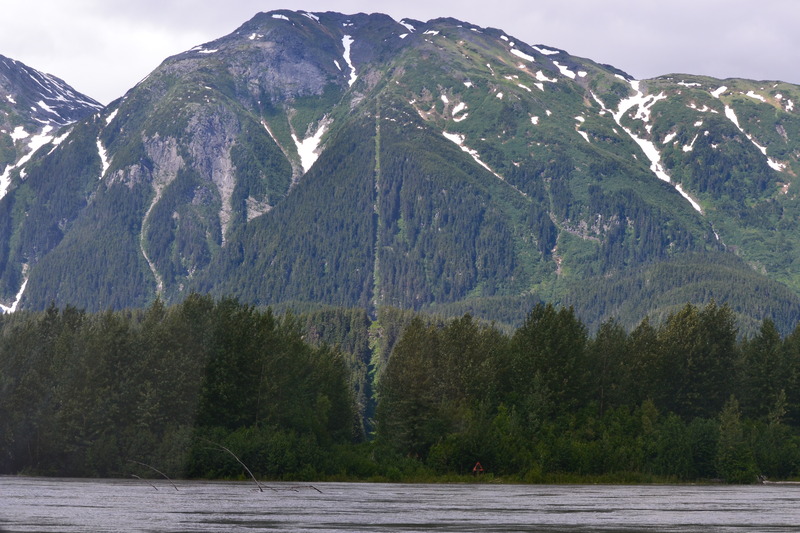 This a great adventure, it feels like a vacation day as we are on a tour on a small jet boat with 3 other customers and our guide Zach who was born in Wrangell, owns a cottage on the Stikine and has been driving up and down the river since he was 13. 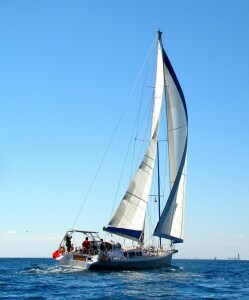 We have no decisions to make, no navigation and that is a relief as the sand bars move constantly and no chart can keep you in the safe canal. Local knowledge is required. 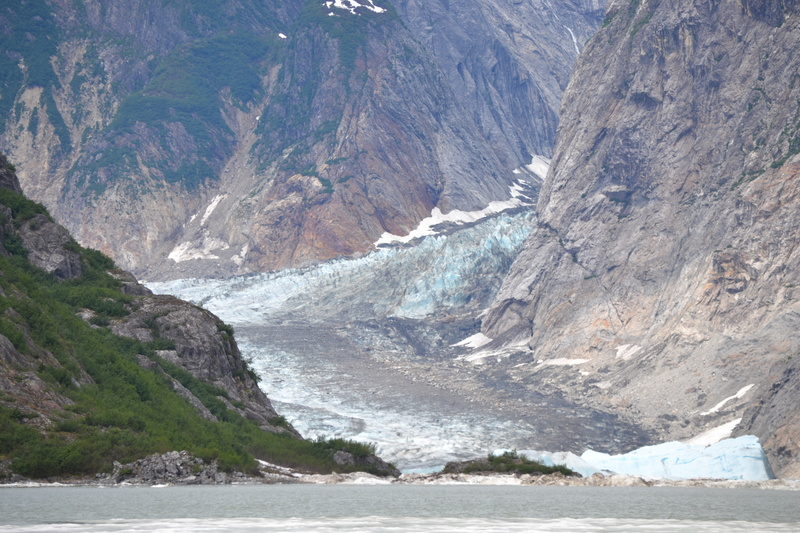 The Stikine is very beautiful and after a few miles we enter the wilderness area created in the early 90’s. No cottages, no power, no generators, no logging, only a few locals have figured a loophole. House boats that are not tethered to land seem to escape the prohibition for now. 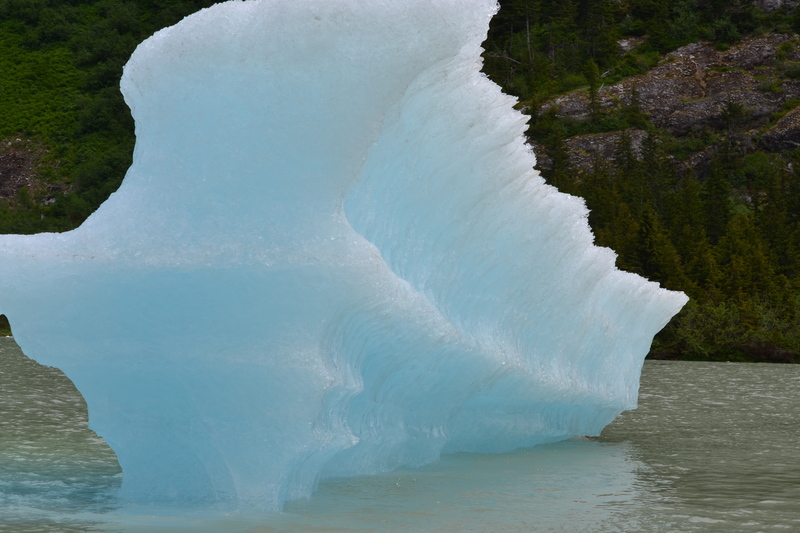 Lake Shakes is beautiful, a true glacial lake with green waters and icebergs. 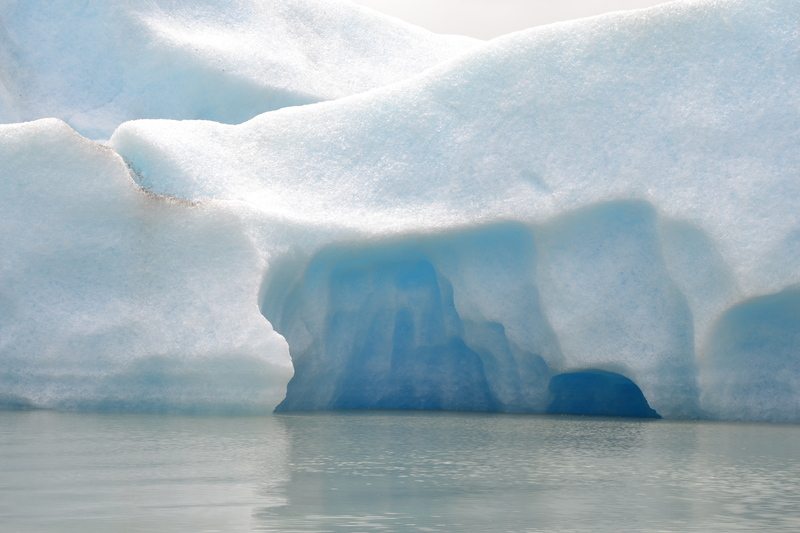 The jet boat cannot cut through the ice sheet all the way to the lip of the glacier, so we observe from a short distance in the very cold air free of mosquitoes. 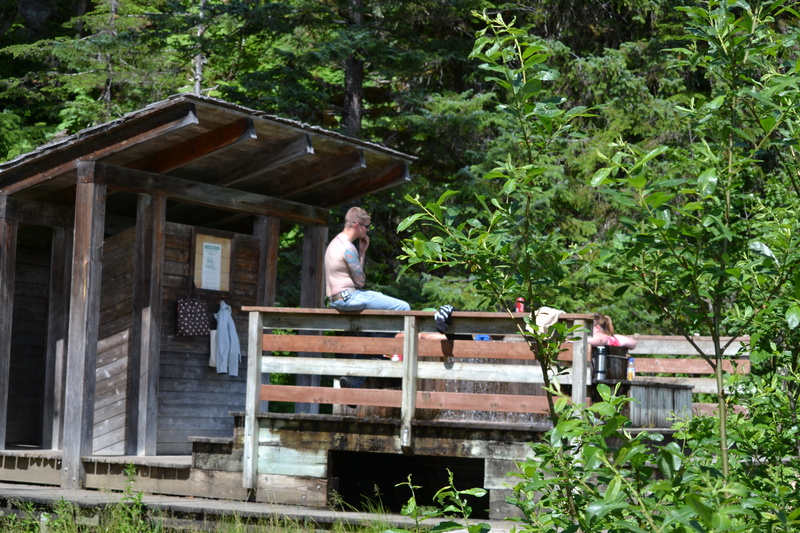 Then we go back down a bit for a soak at Chief Shakes Hot Springs, so hot they are mixed with an adjacent spring of glacial water to become just right. The last highlight of the trip is to see the Canadian border marked by red markers on shore and a giant land border marked by a line cleared of trees up the very steep sides of the mountains on both sides. We are home a few seconds many hovering on the border line in the current. 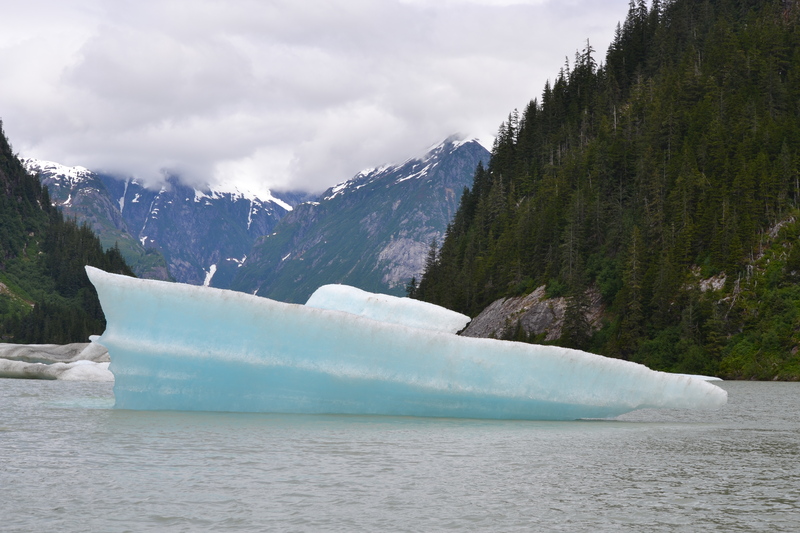 This entry was posted in The Log and tagged alaska, Chief Shakes Hot Springs, Inside passage, jetboat, Shakes Glacier, Stikine River. Bookmark the permalink. That was a beautiful break for you! It’s such a joy to read your account of your adventure up the BC coast. 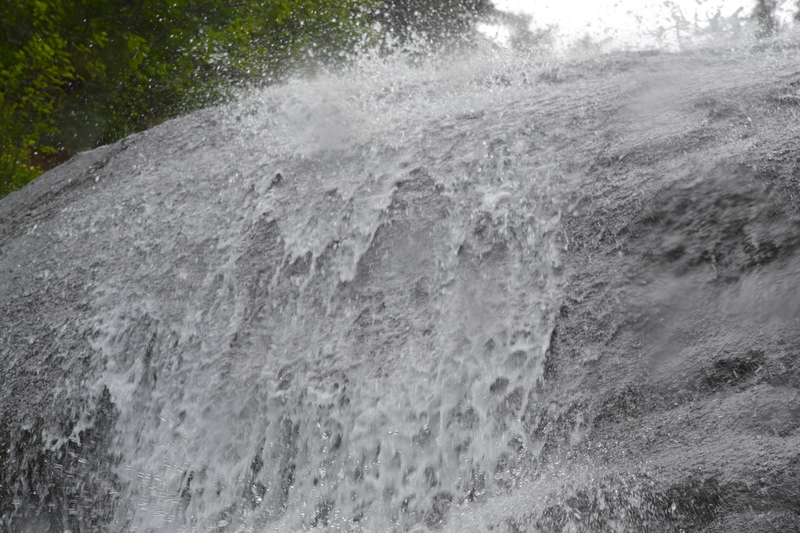 The pictures were amazing – ranging from the tranquil inlets to the rushing water gorges. C’est superbe… merci de nous en faire profiter!